Welcome to Trader Wow's #1 Warcraft Guides for the "Casual WoW Player"
Trader Wow's #1 Warcraft Guides for the "Casual WoW Player"
Trader Wow's Guides are created for the "Casual WoW player". With over twelve (12) million subscribers, Blizzard's World of Warcraft is not only the most popular MMO in the world, it is the most complex. Many casual players simply don't have time to get the gold they need for their toon's. With limited play-time, farming "Warcraft Gold", camping the Auction House for deals to resell, and making stuff with trade skill professions for profit just doesn't work. Casual World of Warcraft players don't want to pay for guides, tips and hints, and aren't going to buy WoW Gold online and risk getting suspended or banned. Besides, buying WoW Gold online takes away from the real enjoyment of earning your success in the World of Warcraft. In support of your honorable goals, as WoW gamers, we provide ALL guides, tips, and hints for FREE... Yea, that's right, they're always free. Here at Trader Wow, I look for truly simple ideas to help put some gold in your bank. I look for methods that can be used by any toon and players of any skill level. Whether you are a total noob, newbie or maroon, a casual player, seasoned veteran, or total raiding fanatic, our methods, guides, tips, and hints should be useful time-savers for making easy gold in the wonderful World of Warcraft. Trader Wow will show you how to take a new or low level character from rags to riches without much playtime. If you can get your toon from their starting village to a major city (like Ironforge, Stormwind, Darnassas, The Exodar, or Orgrimmar, Thunder Bluff, Silvermoon City and The Undercity), we'll show you how to turn a few copper or silver coins into easy gold quickly. Each major city has an Auction House and all the vendors you'll need to get started earning some quick and easy gold for your WoW toons. 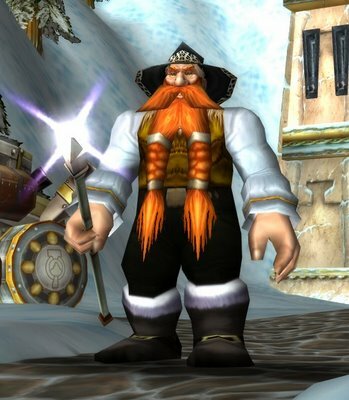 Trader Wow tests guides and strategies on many servers and realms. I have low-level toons as a "main" character on many servers. Many have one thousand (1,000) gold pieces (some have much more) and only an hour or two of total playtime. On Arygos, where I've played since the server opened, I have a level nineteen (19) PVP Warlock with thirty-six hundred (3,600) gold pieces (all of it earned from casual fishing). I am, at best, a casual player, but I enjoy WoW whenever I play and have been a loyal fan of Blizzard Entertainment since they launched their original "Warcraft, Orcs & Humans" in 1994. "ALL Guides, Tips & Hints are Free!" Other areas of Trader Wow cover easy and profitable tips and strategies to develop your fishing profession into a booming business and fill your coffers with plenty of Warcraft Gold. I list the cooking recipes, herbalism recipes, and leather-working recipes that use fish you catch or their by-products to create popular crafted items. I also list profitable herbs from gathering, minerals from mining, skins from skinning, gems from prospecting, and materials from dis-enchanting. You'll see the "in demand" items made from all the things a low level character can do. Whether it's your Auction House toon, your banker toon, or your main character, you will find easy WoW Gold-making tips to enhance your enjoyment playing World of Warcraft. I strongly believe "A rich toon is a happy toon". Be sure to check out the Trader Wow store for Blizzard products like Games, Warcraft Trading Cards and redeemable in-game items like special mounts and cool oddities that have that "WoW" factor. The Trader Wow store also has cool shirts, mugs, caps and sports gear with phrases, sayings, and lettering only a WoW Head or World of Warcraft addict will understand. It's fun to watch "non-gamers" try and figure out all the WoW slang that only players understand.